Angry: Make the open-5 hand shape, palm toward your face, and pull your hand away from your face, scrunching up your fingers. Your fingers represent the furrows that appear on an angry face. 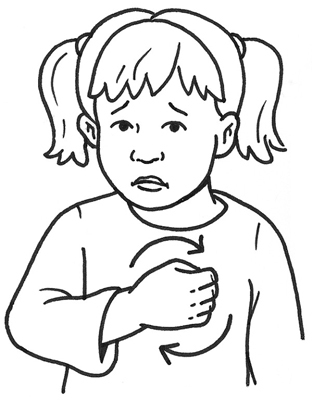 Happy: Place your palms at upper-chest level, hands open and facing your torso, and make little circles with your hands or pat your chest. 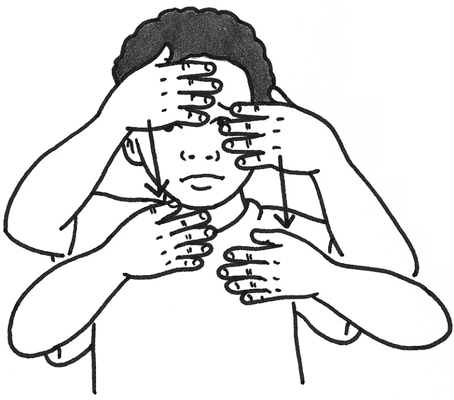 Sad: Using both hands, place your spread-out fingers at your face, palms toward your head so that you’re peeking out between your fingers. 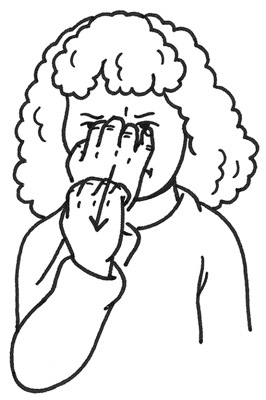 Then, making a drooping face, draw your hands down to approximately shoulder level. 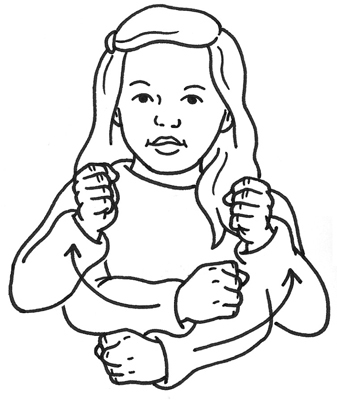 Scared: Make loose fists with both hands; place one at shoulder level, the other just above hip level. While making a scared face, move your hands into the open-5 hand shape, wrists crossing each other quickly in front of your body as if you’re protecting your body from something scary. 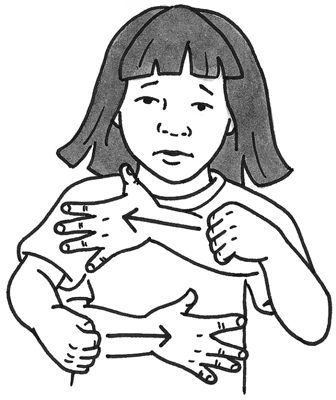 Safe: Cross your arms at your wrists, hands in S shapes, palms facing but not touching your body. Pull your hands apart while twisting palms to face away from your body, stopping at the shoulder area. Keep those S shapes. Sorry: Make a sad, apologetic face. With a hand in the ASL letter S shape, place your fist, palm facing your body, over your heart and make a circle.